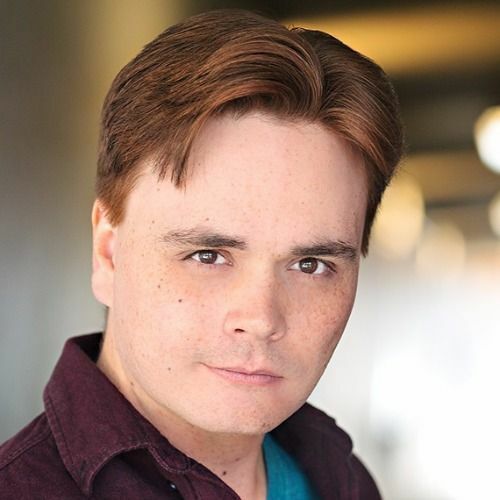 Prior to his work at Biola, Zachary Bortot served as the director of development for the Chicago based non-profit Christian theatre company, Honest Theatre. During this time he also studied improvisational comedy at the legendary iO theatre. In his career, he has spent years working as an actor, director, writer, fight director and instructor in a variety of locales and venues in the United States, for both stage and screen. He earned his M.F.A. in acting at Regent University in 2012 and his B.F.A. in theatre (performance emphasis) at the University of Nevada, Reno in 2008. A SAFD trained and certified actor-combatant, he loves a good bit of stage combat when a production calls for it. Research interests include Theatre of Cruelty, immersive theatre, and the application of augmented and virtual reality in the performing arts. He has a passion for enabling other performance artists to explore the creative vocational endeavors to which the master artist has called them. He is ever thankful to God for the opportunity to work with the talented group of educators at Biola, and to his wife, Rebekah, whose unwavering support gives him the strength to endure life with Inflammatory Bowel Disease, serving as an advocate for awareness and exploration of alternative treatments and therapies. Magical Starlight Theatre, Naperville. Assistant	Teacher	for	“Unarmed	&	Armed	Stage	Combat	Principles.” 2015. UnCovered	Theatre	&	Rochester	College,	Rochester	Hills. Presented on “Integration	of	Meisner	Principles	with	Practical	Aesthetics.” 2013. UnCovered	Theatre	&	Oakland	University,	Rochester	Hills. Presented on “Developing	a	Process	for	the	Actor:	Scene	Study.” 2013. UnCovered	Theatre	&	Rochester	College,	Rochester	Hills. Presented on “Single	Sword	Basics.” 2013. UnCovered	Theatre	&	Rochester	College,	Rochester	Hills. Presented on “An	Introduction	to	Linklater	Vocal	Technique.” 2013. UnCovered	Theatre	&	Rochester	College,	Rochester	Hills. Presented on “Activating	Shakespearean	Text.” 2013. Regent	University,	Virginia	Beach. Co-Workshop	Leader	for	“They	Fight.” 2012.